One call gets you the best deal on cell phone plans. Seriously. Major Carriers or Mobile Virtual Network Operators (MVNO)? The largest phone carriers in the nation are Verizon, AT&T, T-Mobile, and Sprint. Collectively they connect an estimated 454 million subscribers to cellular service providing coverage to 98% of the total population. With a larger footprint and many storefronts nationwide, major networks offer more accessible face-to-face customer service vs MVNO’s. 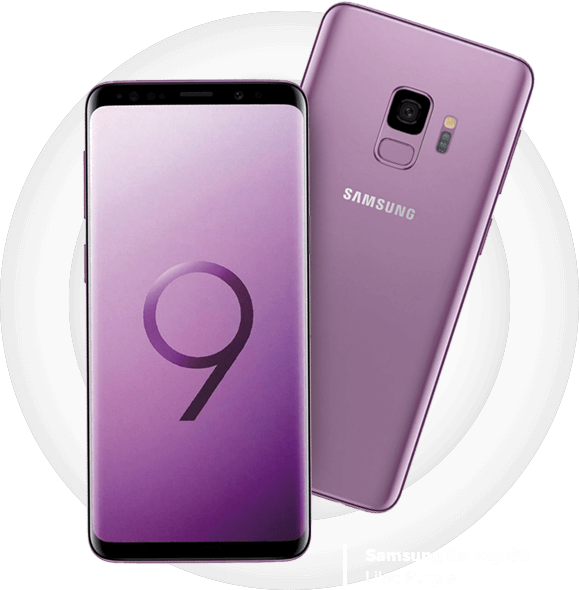 They also offer more robust phone financing or leasing options which don’t limit you to just purchasing unlocked phones for cellular service. MVNO’s are mobile service providers that license and share the big 4’s network, offering their own plans and pricing. MVNO customers experience the same network coverage and service as the main carriers but miss out on some features like Wi-Fi calling and HD voice calls (VoLTE) . While typically cheaper in price, MVNO customers may deal with issues of speed priorities given to main network customers during congestion. Every provider has different plans that offer varying data caps, monthly prices, and savings. First, create a budget based on the number of lines you’ll need. Then estimate how much data you’ll need by tracking how much you currently use in your smartphone settings. If you need to turn your smartphone into a personal WiFi hotspot, some providers may charge extra which you’ll need to factor as well. How much can I save per line instead of ordering service a-la carte? Does the provider offer unlimited data, text, and talk? Do I need it? Does the provider charge extra for turning my phone into a hotspot? Compare every carrier’s plans in one spot. In fact, we can probably save you some money with just one call. While there are quite a few operating systems to choose from, the main two are Android and Apple/iOS. Apple phones are known for their user friendly interfaces and premium quality devices which come at a higher cost than the average Android phone. In comparison, Android devices are known for their incredible open source customizability, but to fully utilize these features will require some tech knowledge. 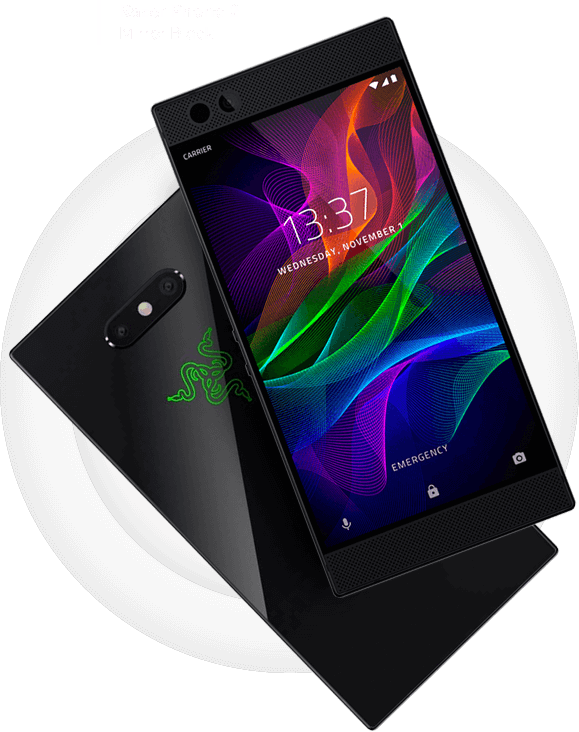 Android phones also have a full spectrum of devices available for purchase, from budget friendly options to premium metal & glass build devices. Do you stream a lot? Are you a gamer? Or, do you just need a device to use the internet and send emails? Performance on devices heavily influence the cost, so premium higher-end phones like Apple and Samsung devices will offer the best performance as well as some of the best looking screens. There are many mid tier phone options that can satisfy most user’s needs without burning a hole in your pocket. When deciding on a phone, the best route would be to talk with an expert about what you need the device to do and your ideal budget. Most shoppers assume that phones with the highest megapixel count have the best cameras but that isn’t the case. Generally speaking, a higher megapixel camera will let you take photos that are printable at larger sizes, or render better in retina displays, but as a rule of thumb, any phone that has over 3 megapixels can be considered reasonably good. Other factors to consider are the lens quality (some manufacturers use Zeiss or Leica lenses), image stabilization features, auto-focus, High Dynamic Range (HDR) image rendering, as well as 4K recording capabilities. Phones with fast processors, high camera quality, and an intuitive interface, such as iPhones, come with a high price point. Androids offer a wider selection of mid-to-top tier phones that can fit within any budget. The phone you choose will affect your monthly bill if you choose to finance or lease your phone. 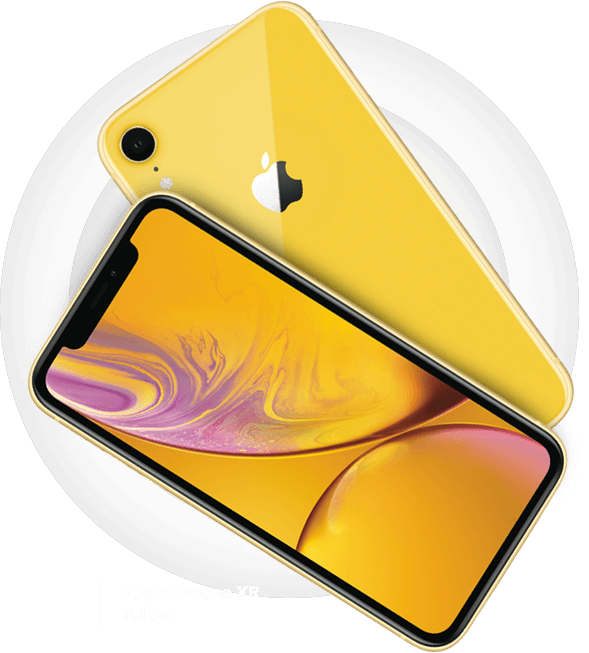 Consumer research has shown that on average, Apple iPhones are typically three times more expensive than Andoid smartphones. The resale factor of iPhones on average are 20% higher than Android devices assuming both devices are the same price and quality. 64 GB is the new storage standard on the latest smartphones, but more storage allows you to store more photos, videos, music, apps and more. With most Androids, you can insert a micro SD memory chip to get additional storage. iPhones have a fixed internal hard drive, so you’ll need to judge how much storage you actually need. Most phone manufacturers or carriers also offer a much cheaper cloud storage service for excess photos and media. We recommend this option to save the most money and opt for a base model mobile device in regards to storage. Every smartphone has special features that can enhance your life. For example, Samsung has an AI-optimized camera and the Samsung Health app that tracks your everyday activities or recommends advice to build healthy habits, whereas Apple has it’s own smart home and health app integrations that integrate with their other products like the Apple Watch and Macbook laptops. Certain apps are only available within Apple or Android’s app store as well. If you’re looking to see if a specific app is available on either app store, you can check here. Our experts can cut your decision making time in half. Let us help you find the right phone. Can I Bring My Own Phone? Some carriers allow you to bring your existing phone into their mobile network so you can keep all your photos, videos, contacts, and apps. This option typically isn’t just limited to major carriers, but many MVNO’s may allow use of your existing phone if it’s compatible on their network. 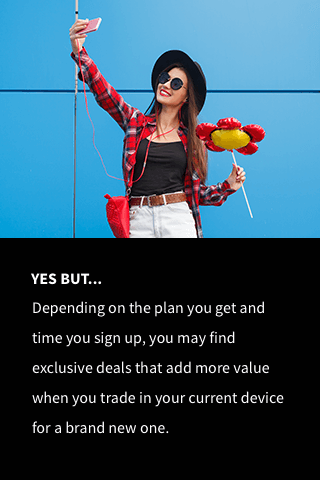 While a great budget friendly option, you are missing out on great sign up deals and discounts when you purchase a new device. Some providers also require an activation fee for keeping your smartphone on their network. You may have heard the terms GSM and CDMA compatible, which is simply a network configuration, or carrier lock for mobile devices. GSM devices will work on AT&T and T-Mobile networks, whereas CDMA devices work on Verizon, Sprint, and U.S. Cellular networks. 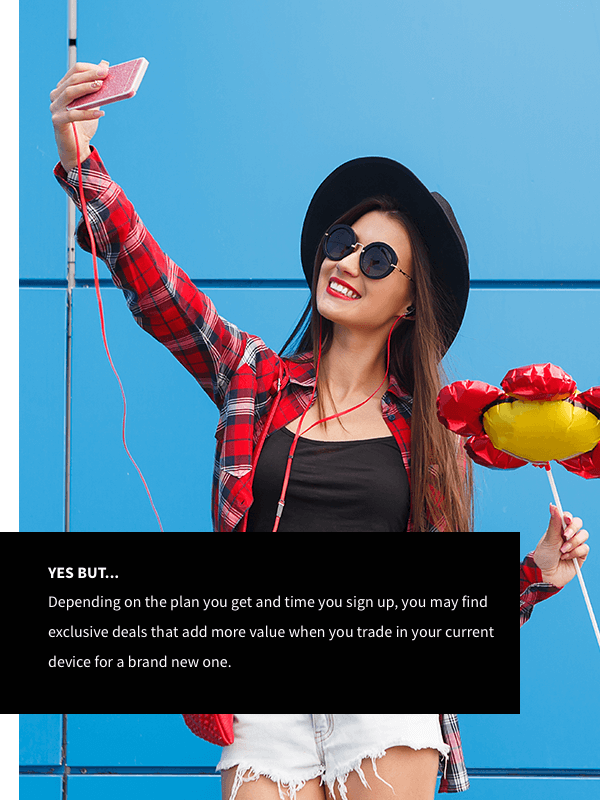 Manufacturers also sell Unlocked phones which aren’t carrier locked and give you the freedom to use any network of your choosing, but typically come at a higher price as they are free of restrictions. If you typically use over 3GB of data per month through activities like video streaming or social media, we recommend choosing an unlimited data plan over one that requires you to pay by the gigabyte. An unlimited data plan has the advantage of being more cost efficient for those that use a lot of data per month. Rather than paying by the gigabyte, you have a set cost on your bill which eliminates any surprises or unexpected charges per month. WHAT HAPPENS IF I USE ALL MY DATA? You may experience throttled speeds after you’ve used a certain amount of data, even on an unlimited plan. How much it will slow down will depend on the provider you choose. To avoid throttled speeds and save on your data plan, cell phone carriers offer millions of free WiFi hotspots all over the nation that you can connect to. Bundling with providers that offer multiple services saves you time and money on your monthly bills. AT&T, for example, is a provider that offers everything from internet, home phone, DIRECTV, to home security services with which you can bundle your cell phone plan with to get the most savings. 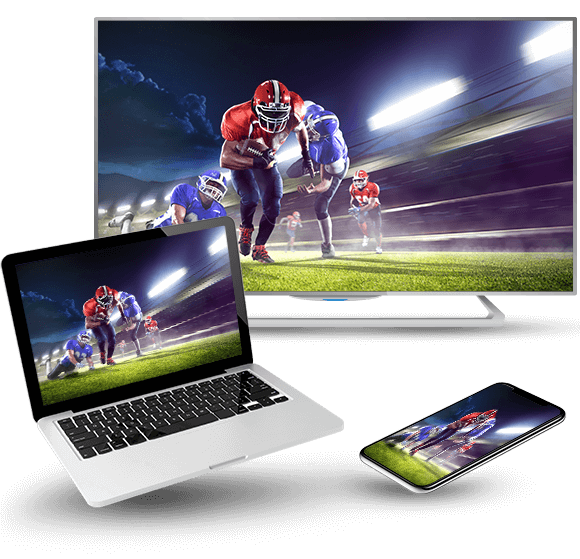 Get the most value out of your cell phone plan when you connect to the WiFi network at home or stream your favorite DIRECTV shows on-the-go.